ATTITUDE IS ALL YOU NEED! 2nd Ed. Garden will teach you an easy and effective system of Cognitive Behavioral Therapy (CBT). Advice can emphasize virtuous choices and options. Advice can exhort to virtue. 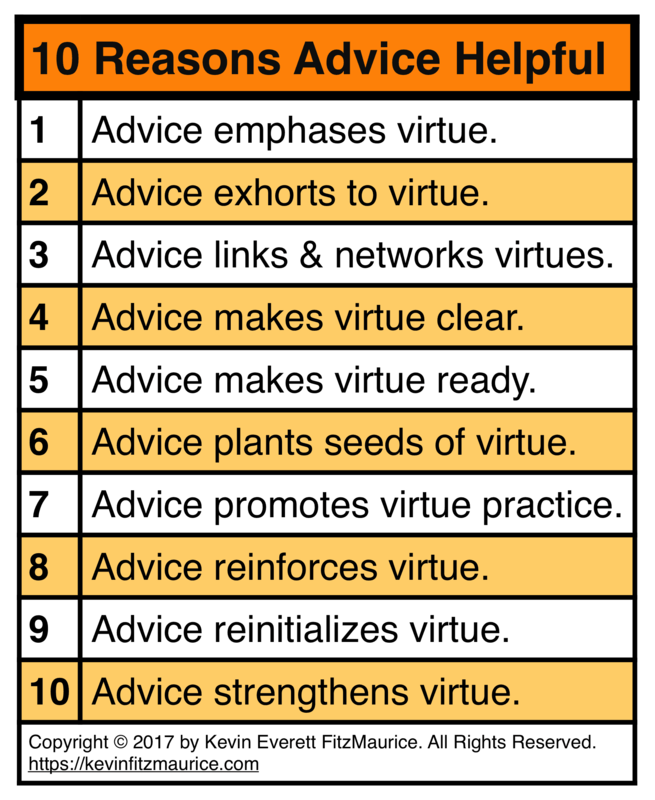 Advice can link and network different virtues thereby strengthening them. Advice can make virtue clear from non-virtue. Advice can make virtue ready to practice, to go forward into the world. Advice can plant seeds that blossom into virtues. Advice can promote the practice of virtue. Advice can reinforce virtuous responses. Advice can reinitialize and revitalize virtuous choices. Advice can strengthen virtue by pointing out its benefits to your life and soul. Copyright © 2000-19 by Kevin Everett FitzMaurice. All Rights Reserved.